This. Is. Not. Beaujolais Nouveau. This is a completely different animal...and it wants to follow you home. 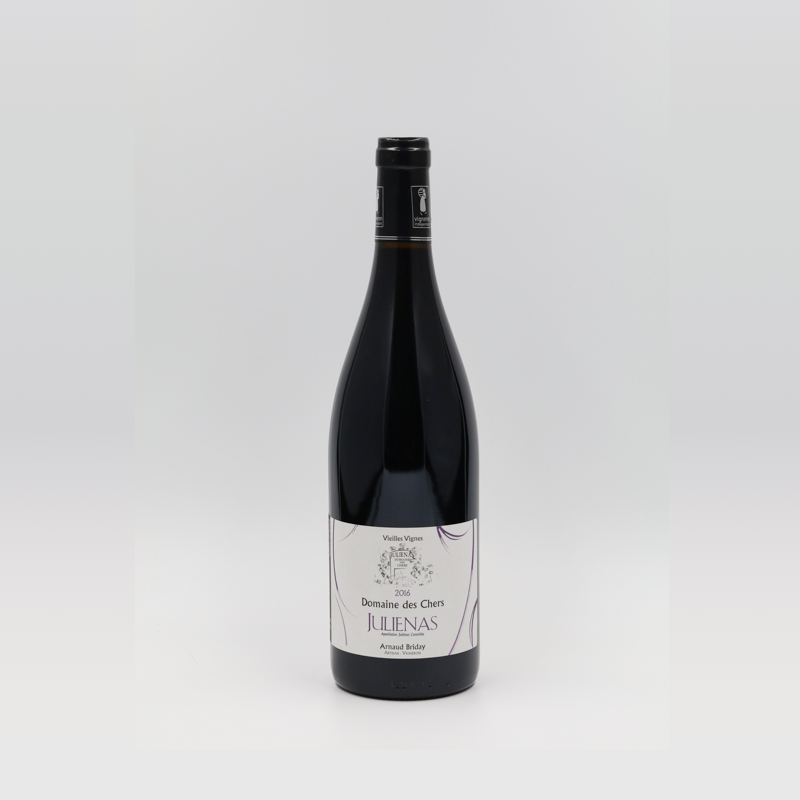 This is from one of the more structured of the cru Beaujolais villages and starts right out of the gate with an energetic nose of cherries wrapped in smoky blackberry and violets. On the palate, dense black cherry fruit pierced by spears of raspberry and strawberry fruit leather. Roll it around in your mouth and you pick up the whispers of its old vine heritage – rich fruit, rose petal and grilled red plum. Bright acidity supports the lively and firm finish. The small size of the winery allows Domaine des Chers to focus on the qualitative work in the vineyard and in winemaking; they seek phenolics palate and fruit flavors.